The Fountains was excellent and the same as the other community I saw except less expensive. The food was excellent. Cleanliness was a 5. The Fountains at The Carlotta is very nice, warm, and friendly. It's a very clean place. The staff members who accommodated me answered my questions. They did very good. They have plenty of tables and chairs in their dining area. They can do activities; they're good too. I love The Carlotta; that's where I would like to go. It truly is a lovely place. It's cozy and small enough where you will know mostly everyone in a short amount of time, which is nice. I went over there for an art class one summer with two other friends and we all decided that that is where we want to go when we need that type of community. Everybody is welcoming. You feel at home. I know a lot of people there, which makes it nice, too. They have assisted living, outings, music, special wine happy hour, movies twice a day, art classes, exercise classes, and they'll take you to the church of your choice on Sunday. It is close to everything. When someone moves out, they redo the apartment to the new owners' specifications. You choose from what they have but you can make choices, which I think is nice. There is an open feeling in a lot of the units. I'm going back to The Fountains at The Carlotta because it offers so much more, and I have so many friends there. They have activities galore. They have anything you really need to have in life. I had a fabulous room, but unfortunately it is gone now to another person because I left. However, the rooms are wonderful. They have studios and a 1-bedroom with a living room and a kitchen area. It's your choice according to what you want to pay. The service from the aides is fabulous. And food is very good. It's more bland, but you're dealing with people who are older and with people with different diet, so it is understandable why they do what they do. The Fountains at The Carlotta was clean, neat, and well organized. The people were very friendly. The rooms were very nice, and the one I am getting is going to be renovated. I was impressed with the place as it fits my needs. We visited The Fountains at The Carlotta. We were pleased with everything we found there. They had a card playing room, a library, and a main meeting room. Outside, there was a golf putting course, so we were very pleased with all the facilities. They also had two swimming pools. We saw the dining room and were very pleased with it. We didn't really eat there, but we were pleased with the facility. The Carlotta was very nice. My friend was in the independent living at first, but she didn’t like to go out and do anything. She had the single or a studio, but she did not have any cooking facility, and they have spacious rooms. The dining room and the lobby were very nice. It’s a beautiful place, but she just was incapable and didn’t want to participate. It’s very clean too. Thank you for sharing a review. I’m glad to hear you found our community beautiful and clean and the residences spacious. I’m sorry to hear that your friend didn’t engage in the community events, programs, clubs and classes. We make a concerted effort to entice everyone to get involved and typically find that once a new neighbor tries a program or two, they quickly become interested in more. I’m sorry that wasn’t the case with your friend. Thank you again. Sincerely, Lisa Hollinger, Executive Director. I think it is very well-done, and the facilities are really superb, so I only have positive things to say about The Fountains. They have the usual gamut of some chair exercises and painting. Of course, the family member that is there was a painter, so it kind of carried the theme for him. I visited The Fountains. The staff was very good. The rooms were very nice. The grounds were very spacious. They had a lot of activities. It was attractive, and they had a lot of pluses. The food was very good. The Fountains at the Carlotta was nice but it's not for me. The rooms were very nice. The facility looked nice. It appeared that they have updated the place. The Fountains at the Carlotta was nice. It is a buy-in and it is only one meal a day. Not that you can't purchase others, but I think you are paying enough not to have to do that. They had very nice-sized rooms, very nice-sized porch, a nice-sized pool outside, and a courtyard. The one I liked best was The Fountains and that's probably the most expensive one also. I liked it because it was on a big 20 acres. It was very open and you didn't feel like you were in a little apartment somewhere. The few people that I did see were lovely, very well organized, they seemed happy and were extremely gracious and showed me everything. One woman worked with me the whole time and it was excellent. They had casitas and apartments and she took me to both of those facilities. She also took me to the room doing a complete interior remodel and she said you can pick everything like the flooring. That it was being updated is wonderful because it was not bad but it was older. I thought it was just an A+ sort of place. I asked what the average age was and she said 83. That determined it wasn't for me. I know I wasn't ready for that. The Fountains is not a large facility. I really wasn't impressed at all. I'm probably misrepresenting it because I was visiting a friend who was recovering from surgery and she had her own room and it was quite small. She had some of her things in it, but to me no matter what you did to it, it would still be like a hospital room. Their dining room was very mediocre. They didn't have tablecloths or decent chairs. That probably wouldn't bother other people but to me it would make a difference. Their food also was mediocre. I visited a dear friend in this facility and found it to be lovely. There were three different places to eat at almost anytime you choose. The formal dining rooms was so pretty and comfortable that you would never guess that it was in an assisted living facility. All the clients that I met while visiting my friend seemed very happy and were enjoying each other's company. My friend needed to be taken to and from medical appointments and this was always done on time and with professionalism. The area where this facility is located is close in to all your needs but set back off a well traveled street on a short street that doesn't go through. It is gated and manned 24 hours a day for security. I highly recommend this to any of you or your loved one. After having surgery for a broken hip at Eisenhower Medical Center, I spent five weeks in the Skilled Nursing Facility at the Fountains at the Carlotta. My experience was like staying at a five star resort! From the time I checked in until I was discharged I was treated like a VIP. Everyone on the staff was very gracious and professional. The nurses were very compassionate and the physical therapy and occupational therapy staff was exceptional. I found the CNAs to be very attentive and accommodating. They cheerfully fulfilled any and all requests. The facility was spotless. The cuisine was very nutritious, plentiful, and well prepared. The entire facility had a very positive and refreshing atmosphere. Nobody looks forward to staying in a skilled nursing facility after surgery, but I have to admit I found myself reluctant to leave. I am convinced there is no better place to recoup after surgery than the Fountains at the Carlotta!! The staff and caregivers were truly a blessing following my father's discharge from the hospital. They nursed Dad back to some semblance of himself following his fall and surgery. I really appreciate Lori T and her management of the staff and assisting me in a very difficult time. In addition, upon discharge from Carlotta, Renee H with Social Services at Carlotta really helped me in getting the necessary items for Dad following his stay. Dad and I couldn't have done it without them! Loved the receptionist, Donna!! THis was a all in one facility. 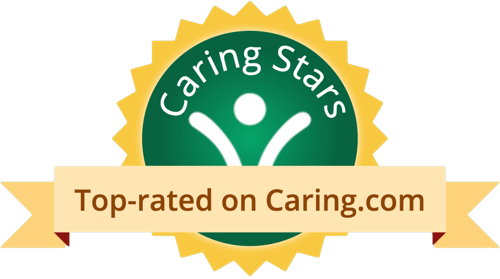 Rehab, skilled nursing, assisted living and retirement community. My mother was there for 5 weeks after she broke her hip. The facility was wonderful. The nursing and physical therapist were great and very caring. I had a wonderful experience in my stay. I highly recommend this facility. 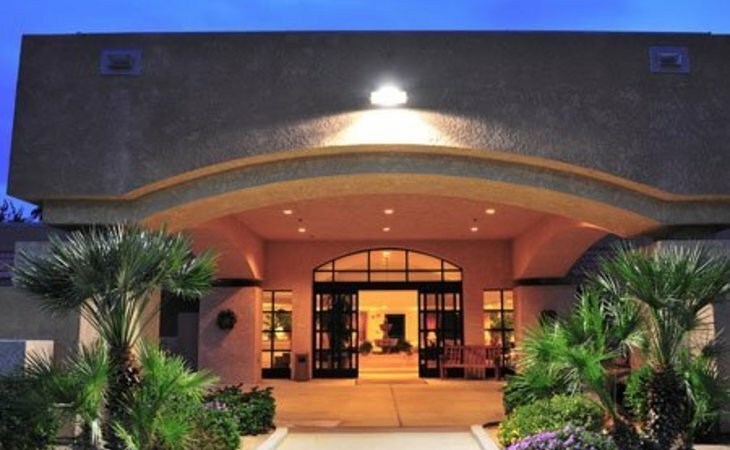 Located in a pristine desert foothills setting, The Fountains at The Carlotta in Palm Desert, CA is an extraordinary retirement community with beautifully landscaped grounds that complement the stunning desert and mountain vistas. Our gated entry and secluded location provide the utmost in privacy while keeping you close to the best the area has to offer. Attend a polo match at El Dorado Field. Shop to your heart's content on El Paseo Drive, then take in a Broadway show at McCallum Theater. Hike through desert splendor at Joshua Tree National Monument. Improve your swing at one of 150 nearby golf courses. Whatever you delight in, The Fountains makes it possible. The Fountains at The Carlotta offers services and amenities to bring out the personal best in everyone, and to allow residents the freedom and independence to choose whatever they wish to do or to be. Services are expertly performed by dedicated, well-trained professionals and are tailored to meet the residents' needs and desires. What should caregivers and potential residents know about The Fountains At The Carlotta?